The MTS Open Forum is a Network for parents and MTS educators to connect, discuss and share ideas focused on Montessori topics, and address any concerns happening in the classroom or home environment. To simply put, a place for current and prospective parents to ask questions. The purpose is twofold: first, keep our community thriving by having our teachers actively answer your questions. Second, based on your questions evaluate blog organizations appropriateness for you. So with that being said, the forum is now open – and the ball is in your court. Name it. Any question related to Montessori in the home or in the classroom. Discover Montessori philosophy and scientific reasoning behind what we do, directly from our qualified Montessori educators. Here’s how it’s going to work: Submit your question in the comment section below. Then wait patiently. We will compile a list and have the appropriate teacher answer the question. Immediately we will start answering submitted questions on our blog. So think of your best, and shoot away. This is going to be fun and informative. 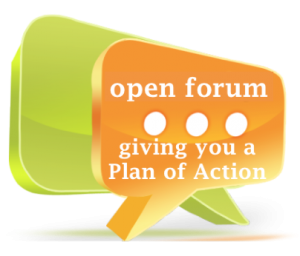 Our Open Forum is giving you a plan of action for your deepest desires! If you would like for your name to remain undisclosed, please submit your question here. Please submit your questions or comments here. We look forward to hearing from everyone! Why does Montessori teach multiplication after addition? Conventional school teaches subtraction after addition. From my experience, many elementary age students seem to struggle with this concept. What is Montessori reasoning for her method? How does scrubbing prepare a child for future academics like, reading, writing, and mathematics? type of inner discipline that is unique to this particular activity. First, we want to set the child up for success. This means no toy box or large basket multiple toys can be stored in. We want the child to understand everything has a home, so it must be displayed in this way. Low lined shelving works best. Second, the adult has to consistently model picking up the toys and putting them back where they belong. This helps create a strong sense of order in the child. If picking up and putting away toys is part of the child’s environment, they will eventually flow naturally in that order. Third, make it fun. If the child is showing resistance you could draw the child to the work through encouraging words like, “I’ll pick up the red pieces and you pick up the blue pieces, ” or “Let’s do it together.” In this way, you are also breaking down the steps which helps the child to feel successful. Overtime cleaning up will become a natural process to their work cycle at home. Keep in mind, we want to understand the child. Some children have a stronger sense of order than others, so more reminders might be required and smaller steps taken when working with many pieces. Why does my child make a bracelet everyday? Q: Why does Montessori teach students the sounds of letters first before teaching the name of the letter? A: The most simplified answer as to why we give the sound of the letter vs. I am researching and possibly considering a montessori school for my son. Where would he go after Tides Montessori? For his middle school and high school? Is there a sister school or somethng along those lines? Also, how does the montessori method help a student who is artistic and very verbal but really struggles in math? Unfortunately, there is no set path. Dr. Montessori started her work with younger students and later worked on an Elementary Curriculum which her son Mario Montessori later finished. I know of no local private Montessori Middle Schools, although the Duval County School system does have a middle school, John E. Ford. As for where children who leave Montessori Tides go, most continue their education at local public institutions, some parents choose to send their children to private/parochial schools. The bottom line is there is not set path and families have to make decisions based on their educational values. The Montessori curriculum is designed to assist most learning styles. The lessons are presented in a manor of using both visual aids and kinesthetic materials. A Montessori directress that has student that tends to be more artistic and verbal, but not so good at math, will through observations and personal experiences, tailor lessons to meet the needs of the child. 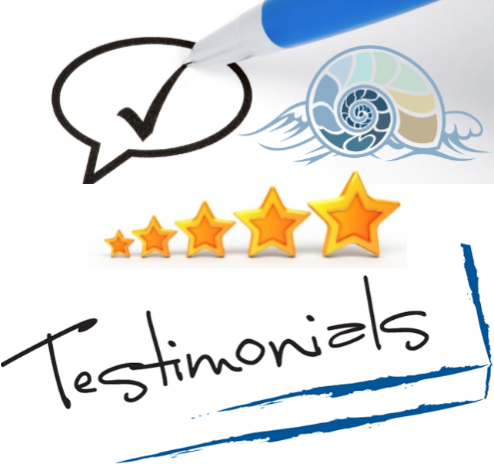 A Montessori directress that has a student that thinks they are not so good at math, will work diligently to empower the student to feel more comfortable with the math curriculum. I would encourage parents to come and observe the Montessori approach in the classroom. We are new to the school and area, and would like to ask for character-references for local, secondary childcare providers (sitters, after school back-up care, date-night/weekend help). We are interested in finding a middle-aged (more mature, not high-school or college aged) individual who is familiar with Montessori concepts and ideals, to assist us with after school care, etc. Can anyone provide us with contact information for former teachers, friends of friends, or local contacts who may fit this description?